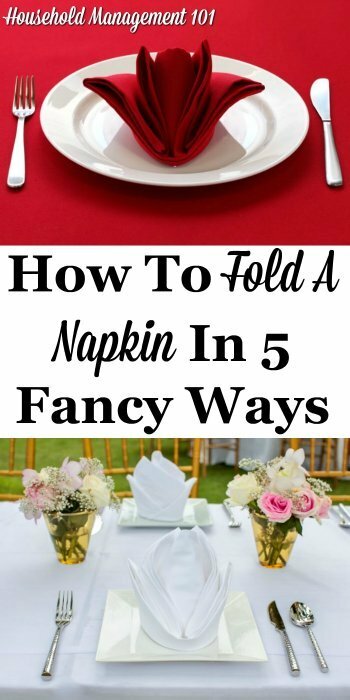 Ever wonder how to fold a napkin for your dinner parties, or when you host the family holiday dinner? 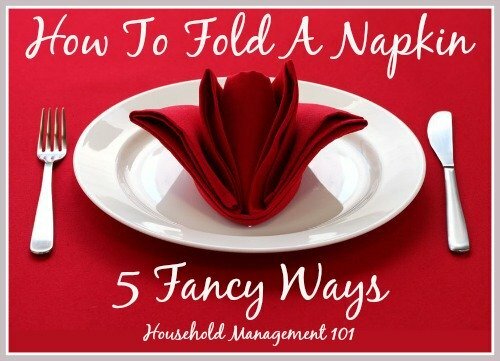 I have to say I normally don't give folding napkins a lot of thought, except maybe on special occasions. 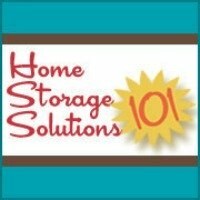 However, the videos below make it look pretty darn simple, and you don't need too many items to do it. This might be a fun thing to do with the kids once they are a bit older, a nice tradition for big family meals. Like I said, this is my favorite fold. I especially like how they used a purple napkin to demonstrate, which adds a nice touch. I think the kids would enjoy passing out the napkins and silverware if it is all tucked into a pouch this way. I also really like the diagonal folds on the front of the pouch which look complex, but seem suprisingly simple to create (at least from watching the video). This is a classic fold, and it is perfect for Thanksgiving I think. 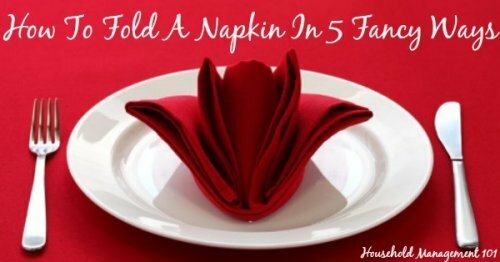 I've seen this fold in restaurants before, and always wondered how they did it. I saved another of my favorites for last, with this pretty Fleur De Lis fold. Looks so pretty on the plate!